I am honored to contribute my thoughts about Cape Cod real estate and its lifestyle to the following local and national publications. 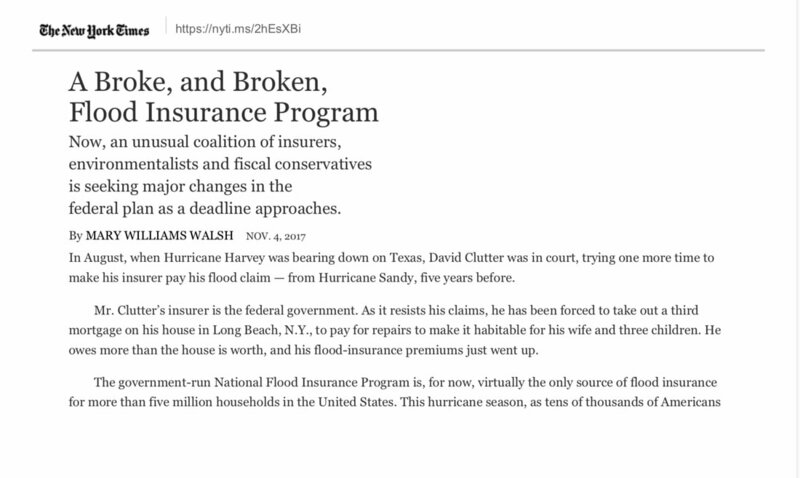 "A Broke, and Broken Flood Insurance Program"
I spoke of my experience with Cape Cod real estate buyers who ask me to direct them away from any property included in a flood zone. 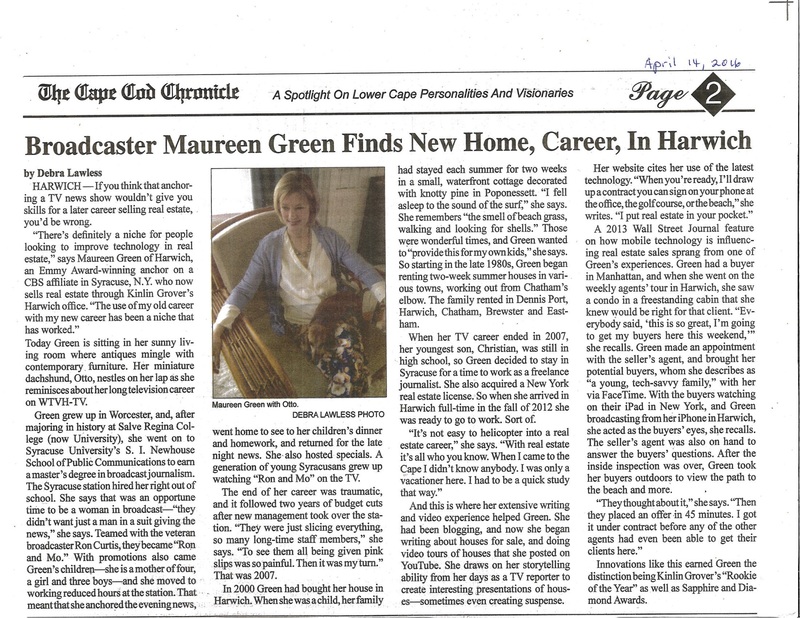 "Broadcaster Maureen Green Finds New Home, Career, in Harwich"
I shared what it was like to relocate to the Cape from Syracuse and to make a total career change from TV news to real estate. 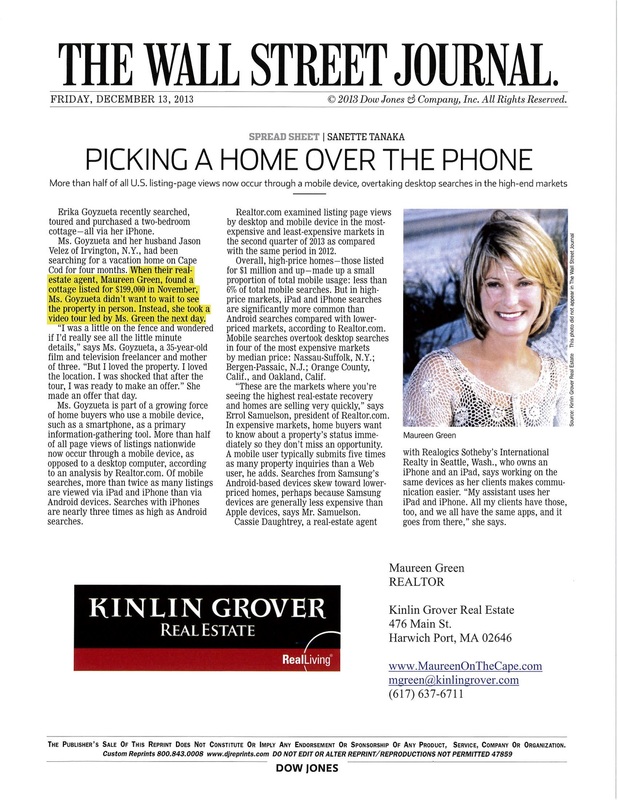 "Picking a Home over the Phone"
Reporter Sanette Tanaka contacted me about the increasing use of mobile technology in real estate.